The Russian Air Force in Syria has eliminated 60 Islamic State militants in eastern Deir ez-Zor province, the Defense Ministry reported. Several days ago mass execution of civilians were reported there. Over the weekend, Islamic State jihadists have reportedly slaughtered up to 300 people in the Deir ez-Zor province, killing “whole families” for alleged cooperation with the Syrian Army. The airstrikes also destroyed three trucks with ammunition, two SUVs with mounted Zu-23 anti-aircraft cannons, he said. Over the last four days, Russian warplanes have carried out 157 sorties and struck 579 terrorist targets in the Syrian provinces of Aleppo, Deir ez-Zor, Homs, Hama, Latakia and Raqqa, Konashenkov said. Around 20 jihadists and three SUVs with heavy machineguns were destroyed in an airstrike by Su-24 bombers on IS strongholds in Latakia, he added. 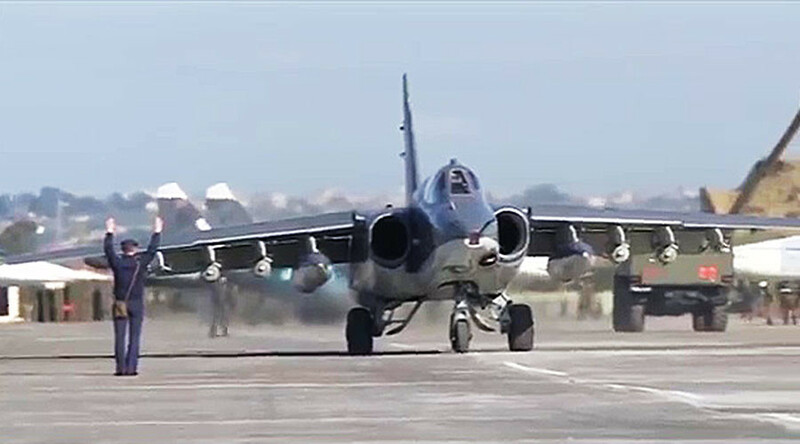 Russian Su-25s eliminated an IS field camp in Homs province, based on information received from the Syrian opposition, the spokesman said. In Aleppo province, air surveillance discovered a column of trucks carrying smuggled oil towards the Turkish border. Twenty-three oil tankers were destroyed in an airstrike by Russian Su-24 bombers, Konashenkov added. Dit zijn nou berichten waar ik heel blij van word, ga zo door heer Putin en aub ook Libië en Turkije.